There’s a newly opened restaurant in Marikina that can be in the running to be your next hang out spot. 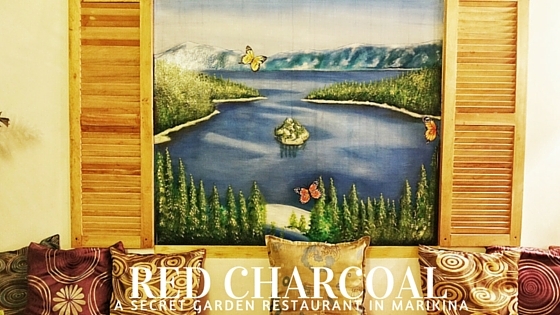 Opening its doors three months ago, Red Charcoal Garden Grill is an open air restaurant. But since as of now it’s only open from 5 p.m. to 3 a.m., you don’t have to worry too much about getting hot and sweaty while enjoying your meal. They also host a live band with open mic nights on Thursdays and Fridays. When we were there, a number of people volunteered to take the mic which added to the fun. 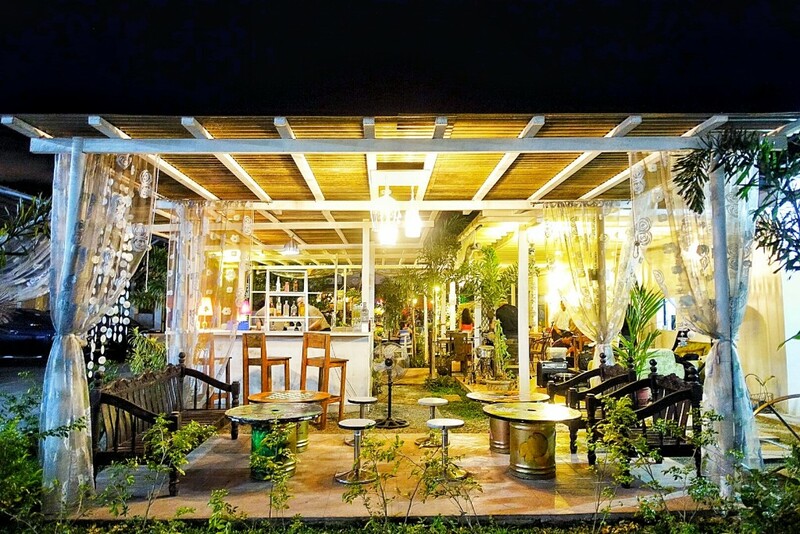 With its wooden furniture and potted plants, the garden-themed restaurant gives off a very chill, countryside and nature-like vibe. It actually feels more like a house than a restaurant, which I found to be quite nice. I particularly liked how they painted various landscapes on the wall and put windowsills over it. The paintings themselves were very nice to look at. Serving a fusion of Filipino food and International cuisine, Red Charcoal has a wide variety of dishes that are pretty unique. For our appetizers, we ordered the Crispy Ears(P145). It was my first time to try it and it did not disappoint. 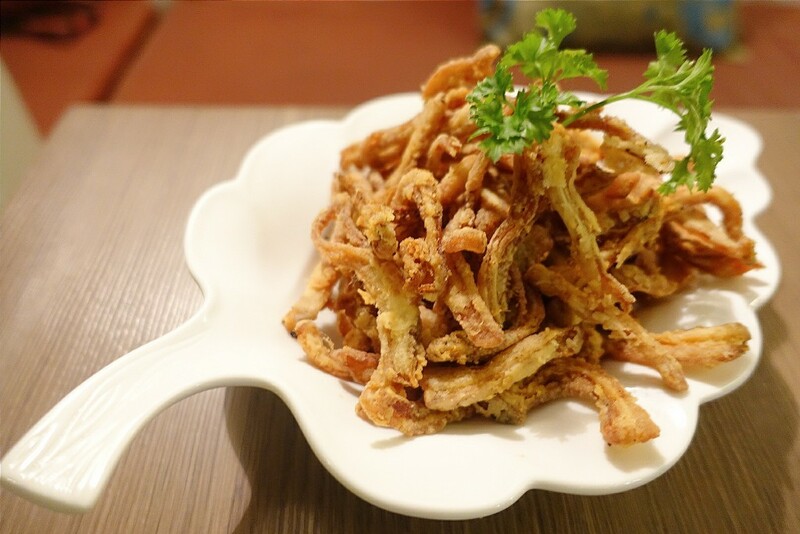 It is fried pig ears served with vinegar and, trust me, it tastes better than it sounds. When paired with a bottle of good beer, I can see this being a favorite finger food to snack on during drinking sessions. We also got Balot Ala Pobre (P165). The last time I ate balot, I was seven or eight years old. When I found out exactly what it was, I stopped eating it. So you can imagine how pleasantly surprised I was when I really enjoyed this dish. Served in sets of three, the balot is cooked in oil and garlic, and I think those simple ingredients made all the difference. It’s definitely a must try. The Red Charcoal Salad (P190) was also a nice appetizer. Instead of bacon for toppings, they put bits of their homemade longganisa which was tasty. 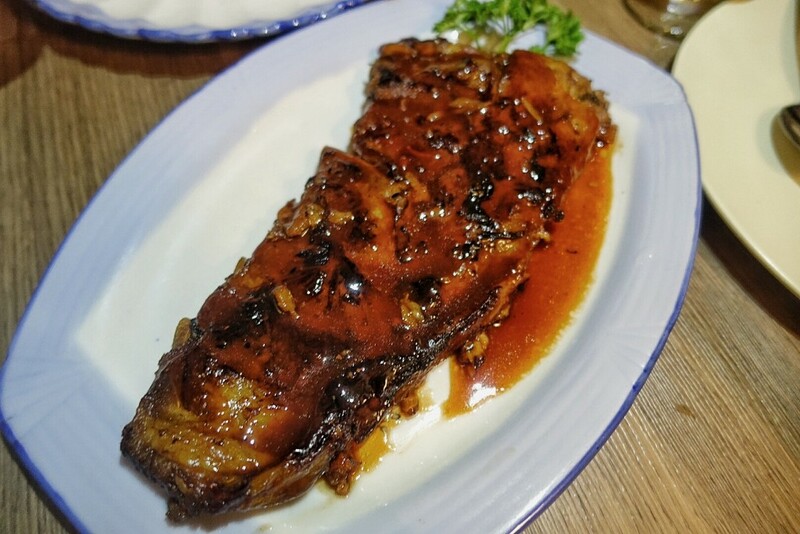 For our main course, we ordered the Ribs (P295), one of their bestsellers. After taking a bite, I was not surprised why this is a favorite among their customers. The meat was soft and tender, and the barbecue sauce was tangy and smoky. I can imagine it being a hit with the barbecue lovers out there. My favorite dish though would have to be the Squid Pinalamanan (P360). 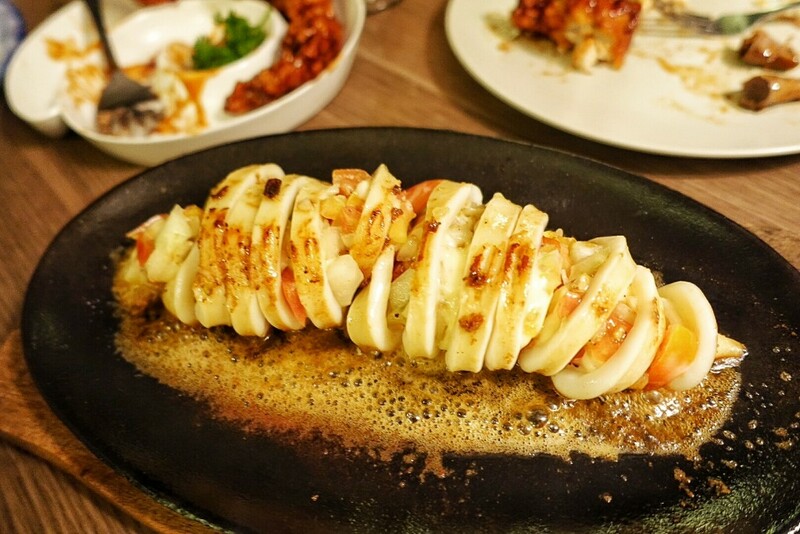 It’s a generous portion of squid stuffed with cheese, onions and tomatoes, and served in a sizzling plate. It was scrumptious and an absolute must try. If paired with rice, I can eat this all day long. 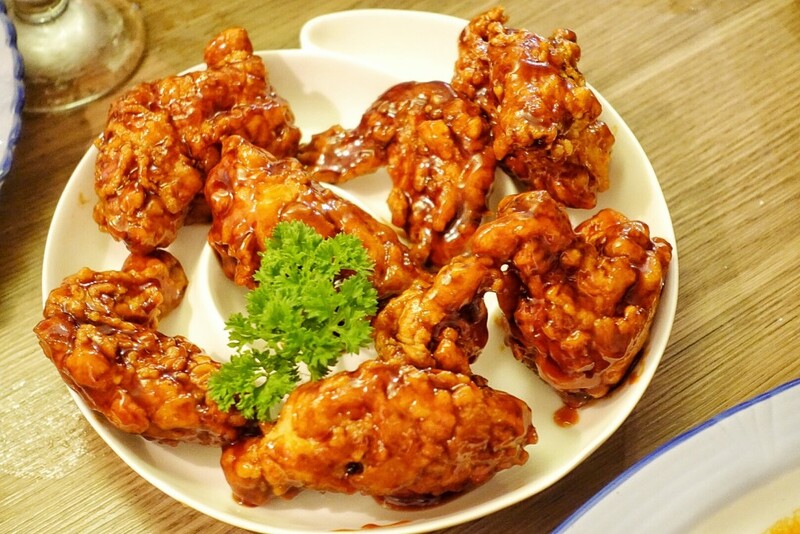 Their Asian Chicken (P245) was pretty much similar to buffalo wings. It’s seven pieces of friend chicken smothered in their special sauce. This was also delicious. 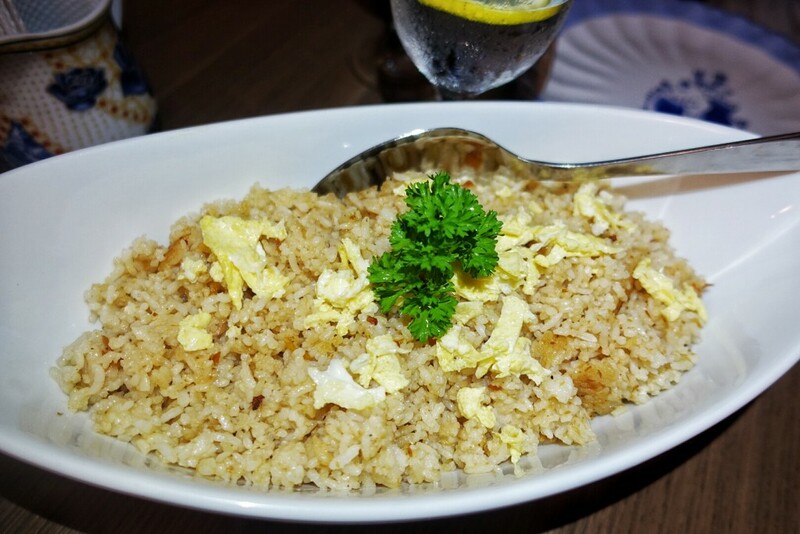 We ordered the Daing Rice (P165/platter and P58/cup) to pair up with the viands. It’s a very Pinoy dish that, I think, a lot of people would enjoy. It also complemented the other dishes and didn’t overpower their flavor. 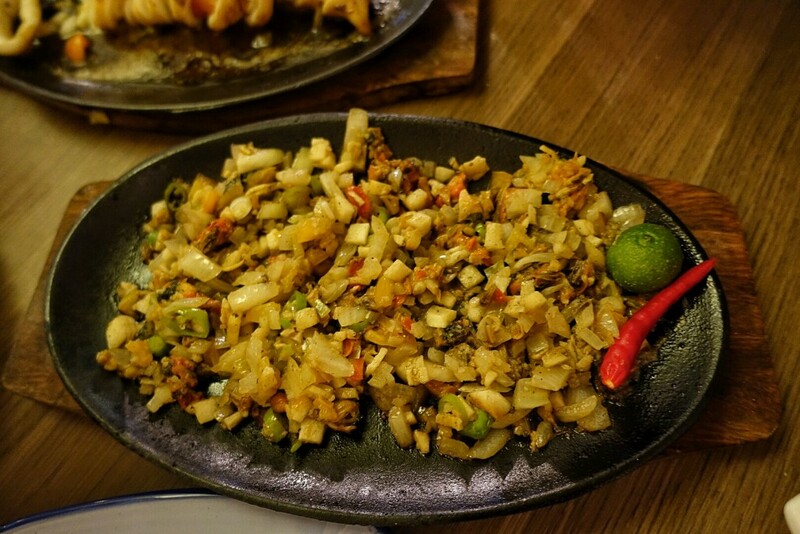 For health-conscious diners, the Tahong Sisig (P195) is perfect. 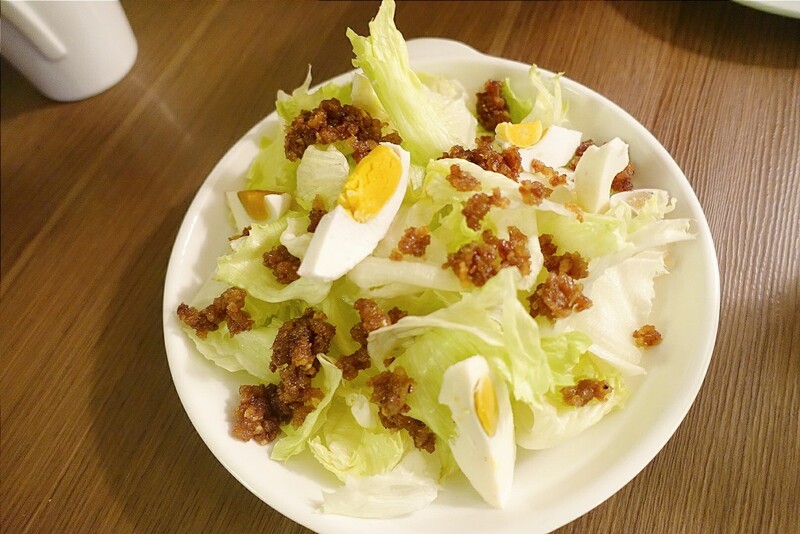 Replace the pork with tahong and it’s basically your typical sisig – it tastes just as good. 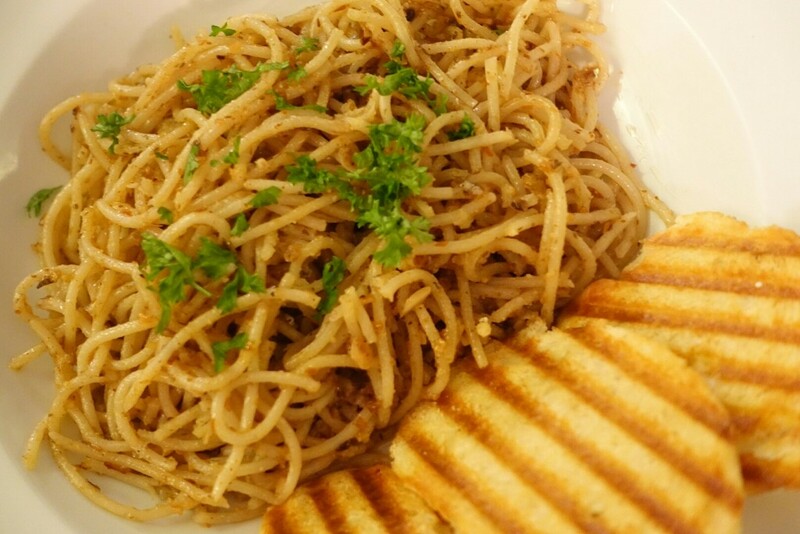 We also ordered two pasta dishes – the House Pasta Beef & Bacon (P219) and the Tuyo Pasta. The House Pasta Beef & Bacon had a unique flavor to it. The combination of the beef, bacon and sauce was great. The Tuyo Pasta, on the other hand, had a generous amount of tuyo. You could already smell it from afar which I loved. 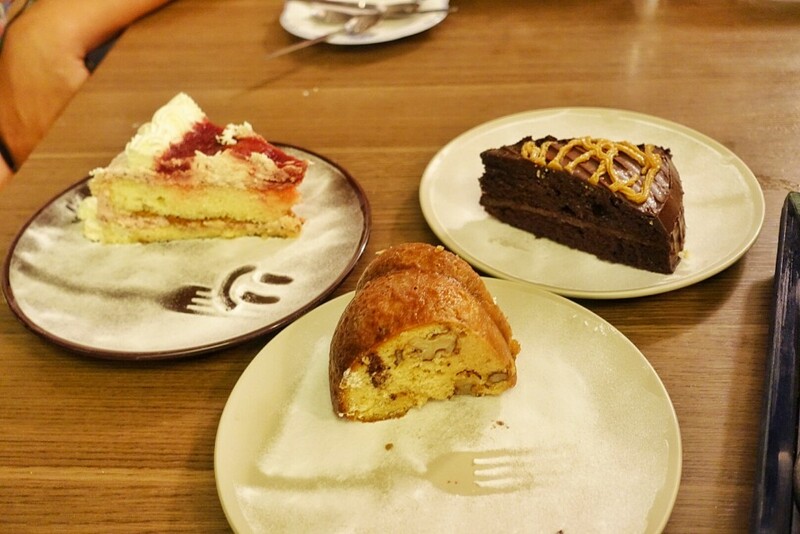 For dessert, we ordered the Decadent Cake (P110), the Irish Butter Cream (P95) and the Strawberry Cake (P145). They were all delectable. 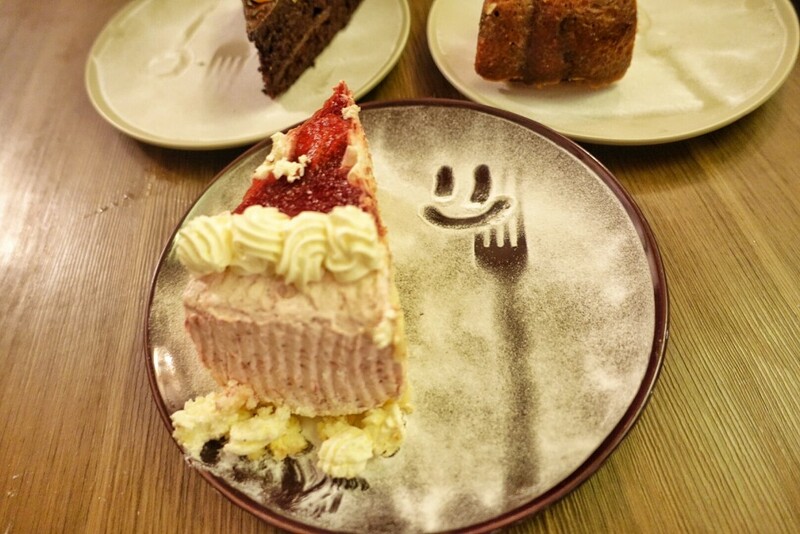 Even though they were sweet desserts, the sweetness wasn’t too much – it’s just enough to cleanse the palate after a full meal. And unlike a lot of cakes, they were all light and fluffy. Another commendable thing about this place is the service. The restaurant staff and owners were very attentive to the diners’ needs. I found it really nice that they took the time to walk around and have small talk with their customers. You could definitely feel they were making an effort to make your dining experience as nice as they possibly can. There are really quite a lot of restaurants in Marikina na and I have only been to one so far! Would be nice to take someone here who loves Filipino food. Hindi ko masyadong type yung menu, maybe the house pasta lang. 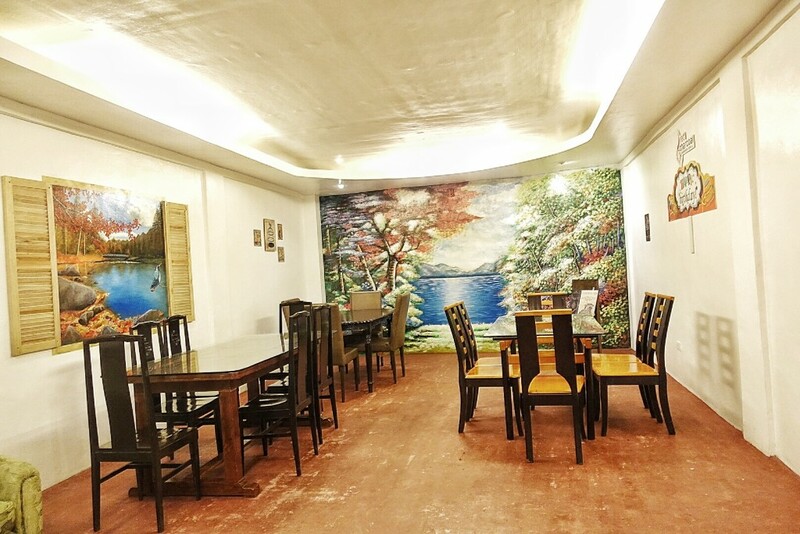 There are other Filipino dishes pa and pastas The ambiance of the place is also really good. 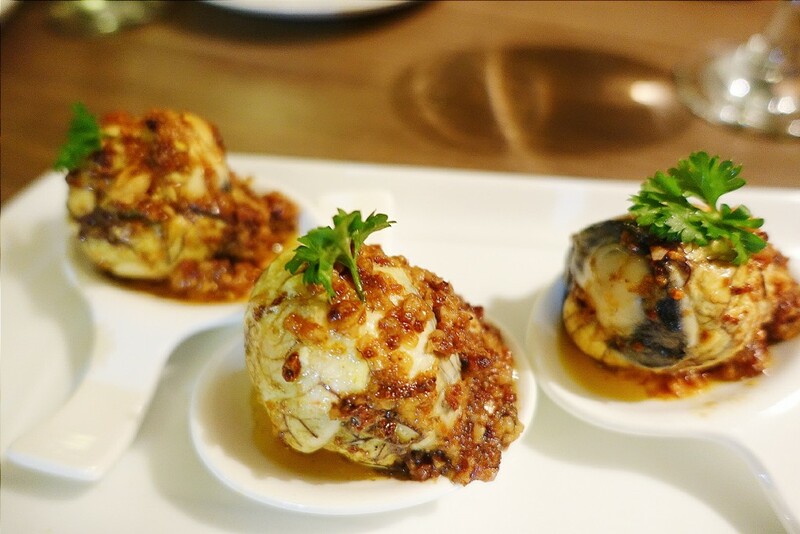 Of the dishes you featured, I would really like to try that Balut and the Tahong Sisig. They sound so delicious! I just hope this resto was not too far from where we live. Well, if you find yourself around the area, it will be worth the visit. That’s really awesome! 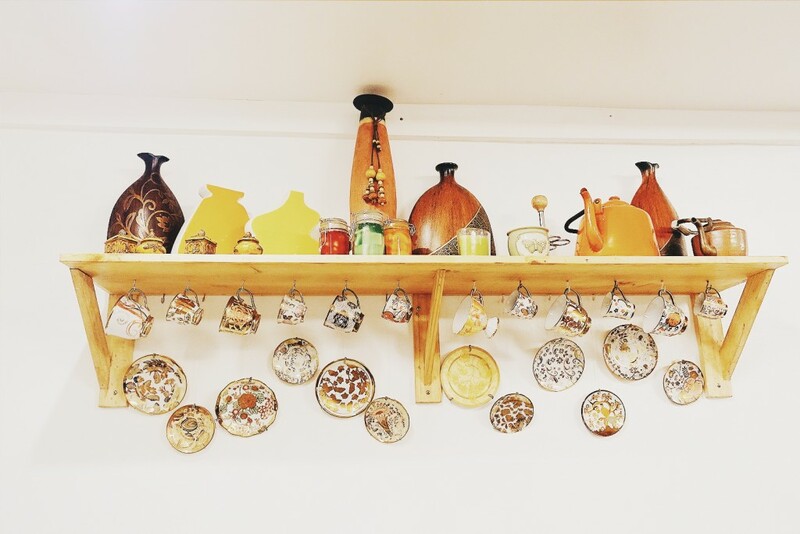 I love a restaurant with a home-y feel to it. The food looks delightful! Nice to know that Marikina have much to-be-desired-restaurants now. Hoping that it’ll put forward as one of the place to reckon with. Kilawin from pig ears and skin’s the best as appetizer. The place looks so fresh both from the inside and the outside. They also have great food choices that’s presented well and is also really tasty. This restaurant is so relax and fun. I like it because of the wood and natural decor. WOw! 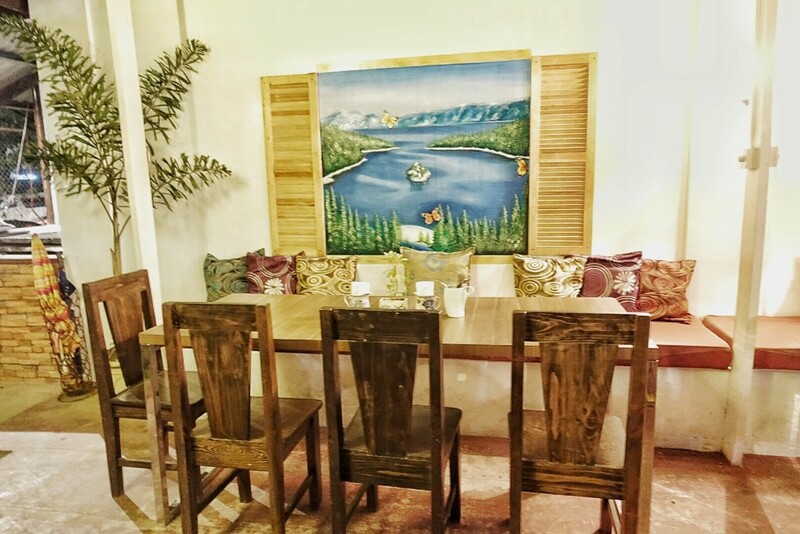 this place looks totally amazing.. its simple yet looks so elegant.. the food looks so delicious as well..
Did you dine inside the room or at the veranda? 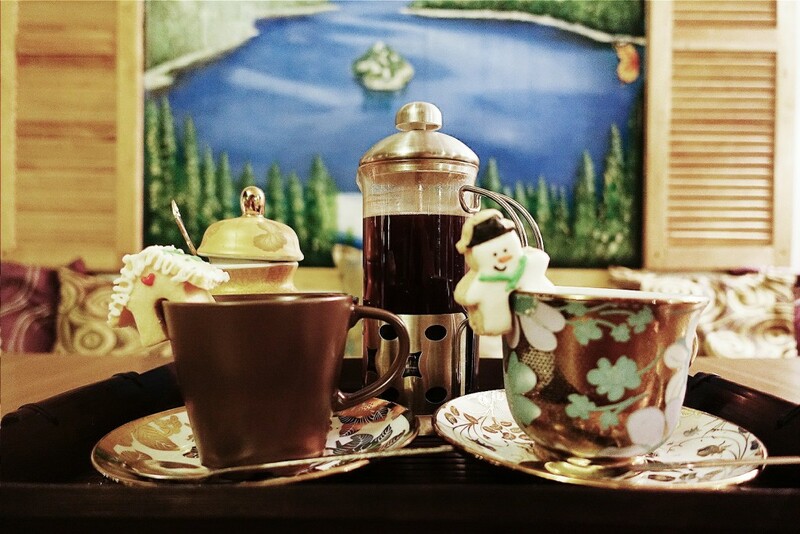 It looks really cozy , much like dining at a person’s home. I also love how the paintings with the windowsill give the illusion of a quick getaway when it’s just a trip to a restaurant. The tahong sisig sounds interesting, I hope the mussel didn’t go mush. Oh my word, that place looks wonderful! So cute and cozy looking. And those dishes looks so delicious, I’m actually starting to salivate! Some of that food looks amazing. I especially like the look of the stuffed squid.